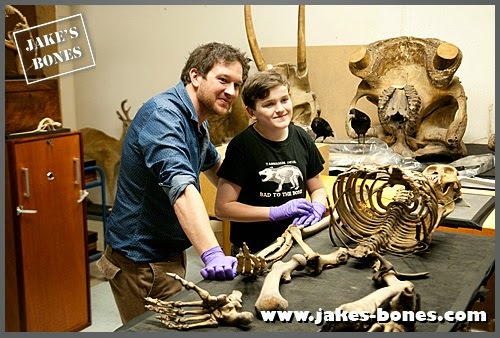 BBC presenter Ben Garrod and I had been talking for a while about maybe doing something together, and earlier this year we finally got the chance with a piece being shown on tonight's The One Show (BBC1 at 7pm !)....AND.... 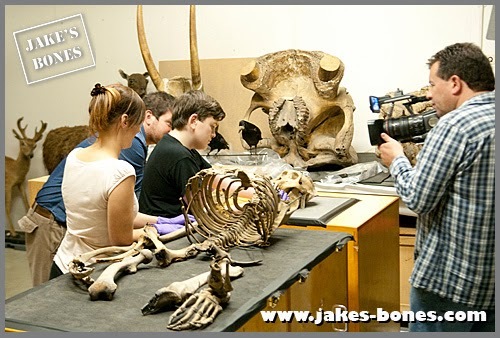 I'm going to be live in the studio with Sir David Attenborough (one of my heroes !) to discuss the clip ! 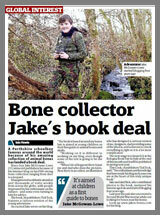 I love bone mysteries, and the one in Bristol was a brilliant one. 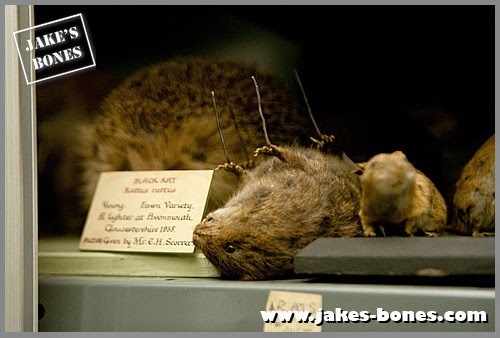 During WW2, Bristol Museum was bombed, and when the damage was being cleaned up, bones were just thrown together in whatever box came to hand. Now, 70 years later, one of these boxes were being opened by curator Bonnie Griffin, and Ben and I were on hand to work out what was in there ! 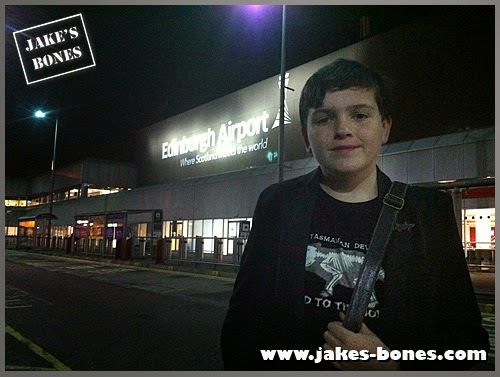 For my day of filming I had to get up at 5am to catch a 8am flight to Bristol. It makes it a pretty long day ! When we arrived at Bristol Airport there was a car to drive Dad and I to Bristol Museum. It was pretty easy to find the rest of the team ! 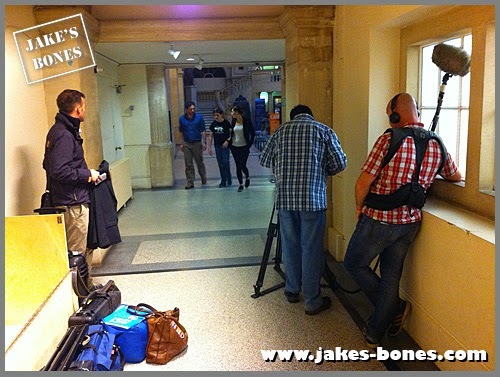 The film crew and Ben had arrived earlier at the museum to set up. It was a brilliant crew to work with, and there was also the museum curator call Bonnie who would be taking us to the stores. The fist scene we had to do was me and Ben walking through the main door and meeting Bonnie. We had to do this scene seven times ! Here's is filming walking to the stores where the main shots were done. We put some tables together to make a CSI-style examination table, and opened the box. 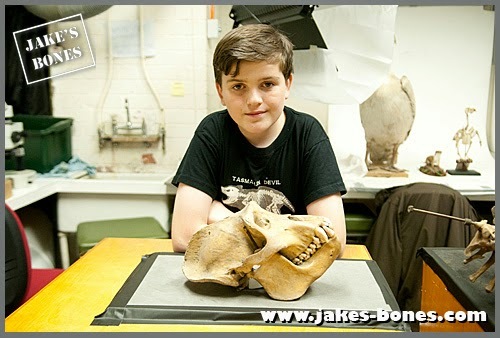 The bones inside were burned and dusty, but I knew straight away that the main one was a gorilla skeleton. 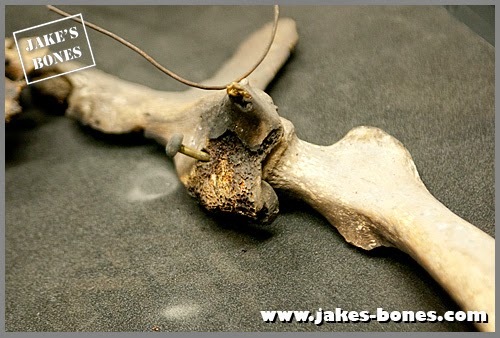 We then laid the skeleton out and we found that a lot of the bones were badly damaged or missing. 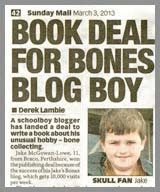 I'm used to laying out skeletons, but it's unusual when it's something which looks so human-like. It was also a real privilege to work besides Ben (who is a bit of an expert on gorillas) and Bonnie who is clearly very smart and very proud of the museum collection as well. In a break in filming I had a wee look around the shelves. 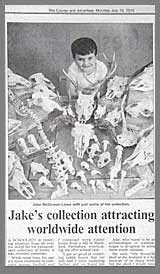 There are loads and loads of stuffed animals and bones. This was my favourite stuffed animal. 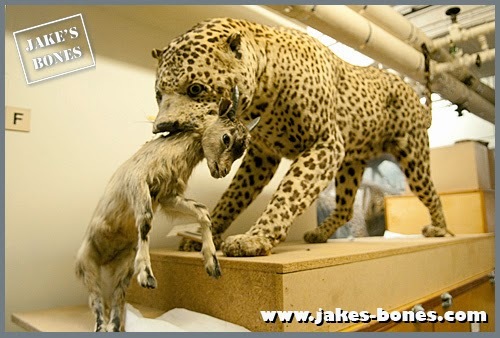 It is a leopard with prey in its jaws, but a closer look showed it was a bit tatty in places and was down for repair. 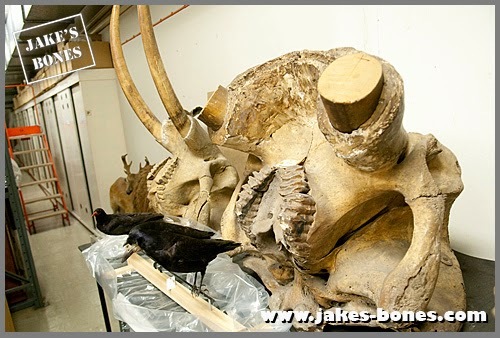 They had two elephant skulls, one with real horns and the others made out of wood. In front of them was a raven and a chough. This one is funny. 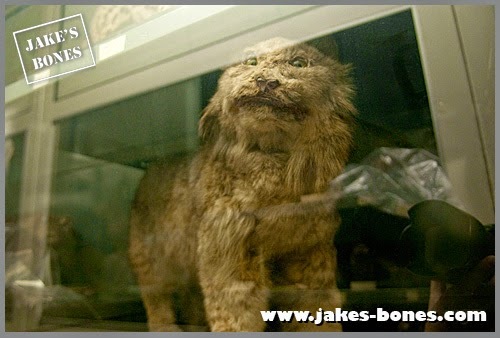 It is a badly stuffed cat from the Victorian era. I have seen quite a few of these. Before lunch, Bonnie played "mum" and made us all wash our hands, which was really for our own good because of the poisonous preservatives used on some of the exhibits. We got back to work after lunch, with Darren the cameraman moving positions, and the rest of the crew hid down the aisles. Dad went down the next aisle, turned round and discovered an angry ostrich at eye level. This startled him, and he moved backwards and banged his arm hard on the leopard display ! He had massive bruise the next day. 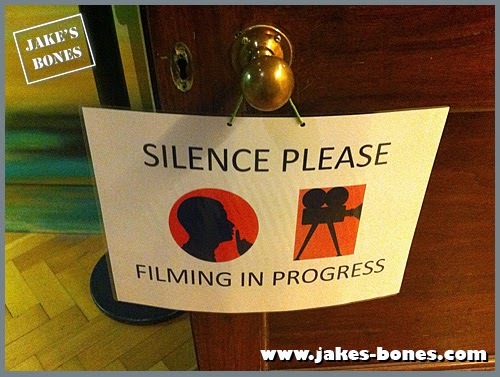 Luckily he did it all without it affecting the sound during filming ! I don't want to give away all the secrets, or tell you what else we found in the box, but there was lots of interesting marks on the gorilla, some of which were from when it was prepared, and others from the actual bombing. 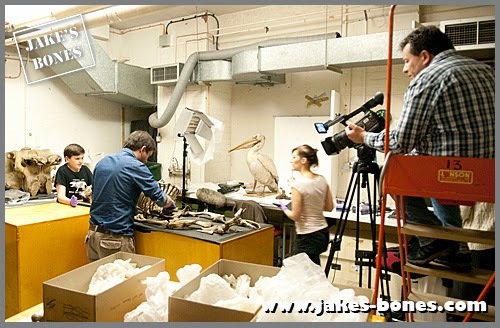 And if the place we are working looks familiar, it's because it's used for a lot of filming by the BBC's Natural History Unit in Bristol. 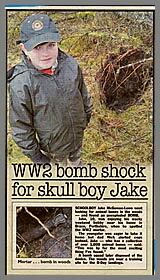 I recognised it from both Chris Packham's "Nature's Wildest Events" and Ben Garrod's "Secrets of Bones". 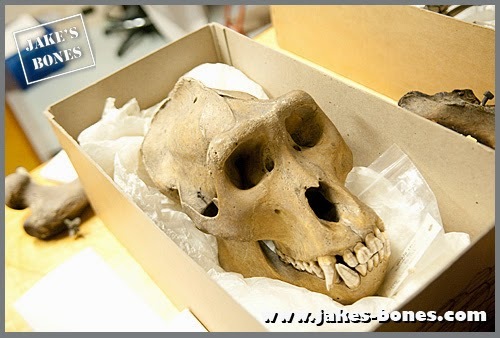 The interesting thing was that it was not only gorilla bones in this box. There was two other animals that I have never handled before. I'm not going to say what they were in case you have not seen the clip. 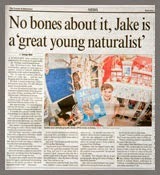 Beside the table there was a juvenile polar bear skeleton. 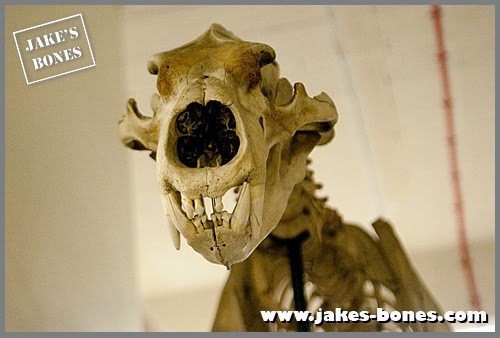 A polar bear is still one of the skulls I would want most. After we finished, we put all of the bones in to carefully marked boxes for storage. The two other animals were put back in to their cases. 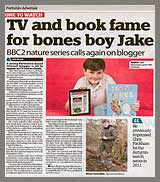 The final part of the filming was at a different location, and was me talking in general about my book, my blog, and bones. I'm writing this on the day before broadcast, and I haven't seen the full film yet, but I think it's going to be pretty awesome. 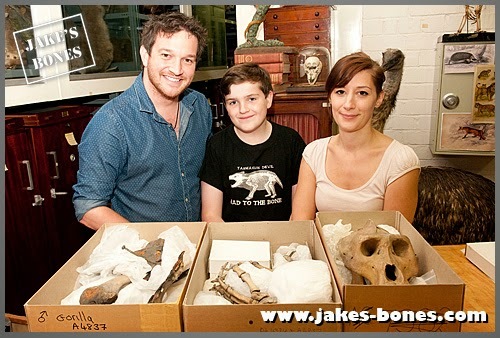 Big thanks to Darren, Debbie and the rest of the amazing crew, as well as Ben Garrod, Bonnie Griffin, Bristol Museum for this fantastic bone mystery ! 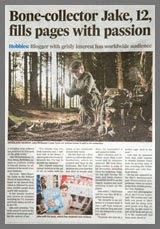 I hope you enjoy the clip ! Wow. 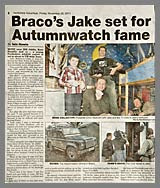 Very jealous as have always wanted to be on TV. Wow my guess was almost right. 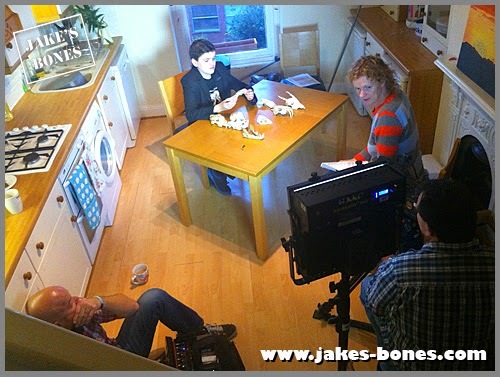 I joked that maybe you were filming "jakes bones: the official movie!". Pretty close! Well done, great job on the one show! Ha ! It's hard work, though.